The authorities of Dhaka University declared the varsity buildings non-smoking area. 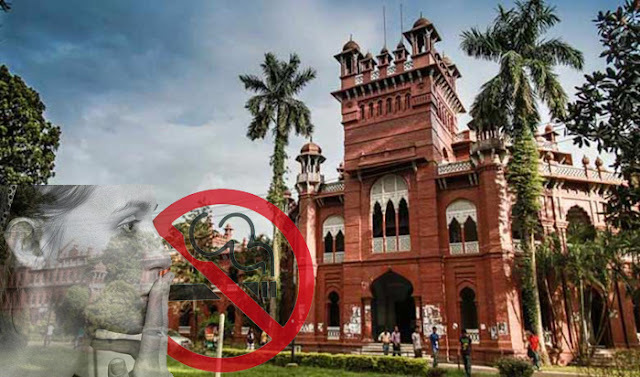 Smoking has been banned in all institutes, faculties, class rooms, laboratories, offices and administrative buildings of Dhaka University. The decision came from a recent syndicate meeting of the university. Dr. Noor-e-Islam, Director of DU public relation office, confirmed the matter on Tuesday morning. He said the meeting was chaired by DU Vice Chancellor Dr. AAMS Arefin Siddique. "Stern action will be taken if any one violates the rule," Noor-e-Islam added. 0 Response to "Smoking banned in DU"